The Gospel of Jesus Christ is the foundation for all that we do. We seek to not only share the Gospel of Jesus Christ with our brothers and sisters, but our lives as well. Our team comes alongside the people we serve to build authentic and lasting relationships with them. Through those relationships, our team earns the right to share the Good News of Jesus. We believe that a relationship with Jesus is the best thing we have to offer. We have been called to come alongside Jesus in building the Kingdom of God. 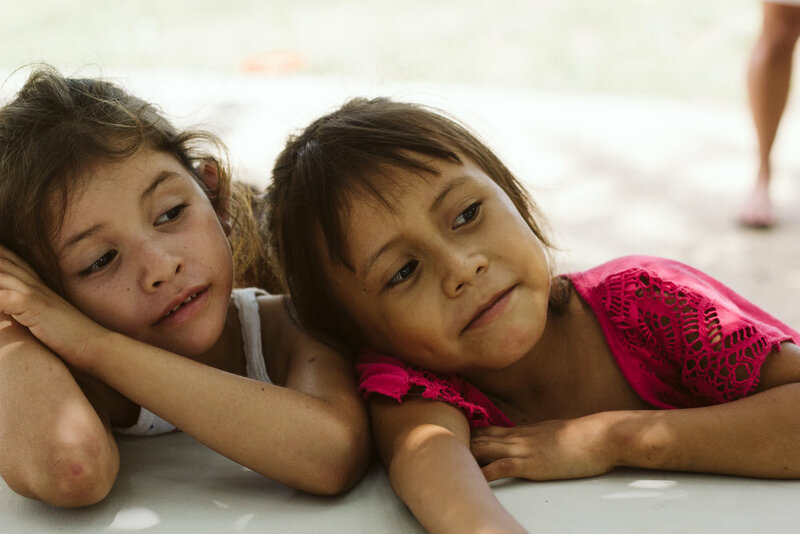 Guatemala has the sixth-highest rate of chronic malnutrition in the world. The children and pregnant mothers that we serve are greatly impacted by the consequences of malnutrition. Through our fortified formula program, we are combating the cause of malnutrition by providing nursing or pregnant mothers, toddlers, and young children with the nutrients they need. Also, we host a soup kitchen 4 times a week that is available for anyone in the community. Due to these efforts, we have witnessed the increasing health and growth of many in the communities that we serve. We believe that education is the cornerstone of breaking the cycle of poverty for the families that we serve. We believe that it is vitally important for children attend and progress in school. Our sponsorship program makes going to school possible for many of these children. By sponsoring a child, you are enabling a child to find hope beyond their present circumstances. You are enabling a child to receive holistic care, as we address their emotional, physical, and spiritual needs. You are setting their feet on a path that leads to real opportunities, which have the power to change the lives of their families and community, as a whole. To find out more about our sponsorship program click here. We have been called to build this community on the firm foundation of the Gospel of Jesus. We believe that as hearts are changed by Jesus' love, the whole community will be transformed and restored. We encourage our friends to respect, honor, and love one another out of God's love for them. We pray that our friends may grasp the riches of God's love and the fruits of the Holy Spirit. As a non-profit organization, we are committed to being transparent about what God has called us to do. We hold ourselves accountable to honoring and stewarding your partnership with us in this work. We prayerfully consider each decision that we make, as we seek to serve others best. While we make every effort to honor requests for donations to contribute to certain projects, our Board of Directors retains the right to distribute funds as they deem most beneficial to our work in Guatemala.